General Motors is recalling approximately 32,000 SUVs due to a faulty motor cover which causes short-circuits in the wiper motor leading it to overheat and perhaps catch fire. 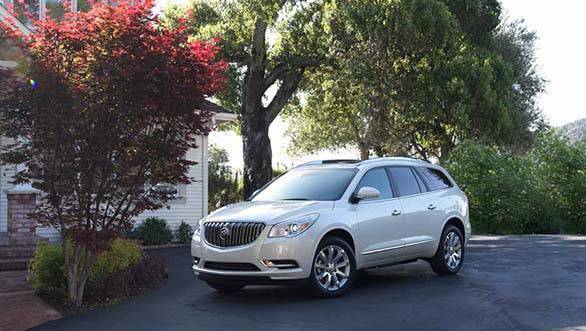 The lot includes the 2016 Buick Enclave, 2016 Chevrolet Traverse and 2016 GM Acadia which were built between August 2015 and September 2015. General Motors has also asked the affected car owners to not to use the wiper unless they get repaired. While only 6,400 units of the SUVs were sold, the rest are in the dealerships and will be there until the problem gets resolved. "Until your vehicle has been repaired, please do not use your windshield wipers. If weather conditions prevent you from operating the vehicle without using the windshield wipers, your dealer will make arrangements to pick up your vehicle for servicing. Also, in the unfortunate event that repair parts are not available, your dealer will arrange to place you into a rental car, at no charge, until the parts needed to repair your vehicle become available." General Motors sent the recall notices through FedEx on September 30 and the affected car owners can take their cars to the nearest dealerships and get the issue resolved immediately. As the parts are being shipped, the dealers are asked to first fix the vehicles which have been already sold, followed by those held in the dealerships.